Gibbons notes that the Chinese Communist Party, founded in 1921, was at first 'on good terms' with the nationalist government and both opposed the local warlords who controlled north and central China. Then, in 1927, nationalist forces killed thousands of communist supporters in Shanghai and the party was expelled from the Government. Mao Tse-tung moved to his supporting areas and began the processes which would eventually lead to power. 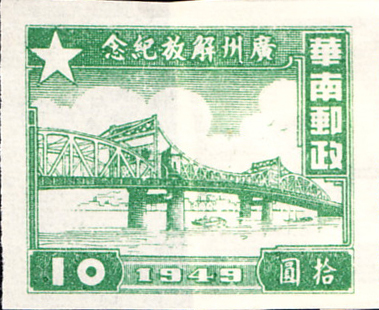 The catalogue distinguishes between the early Red Posts of 1930 -32 and the Chinese Soviet Republic of 1931-36: all of these issues are prohibitively expensive, hence the ✘, unless commemoratives can be found. There are subdivisions within the main geographical areas and these are beyond the scope of this Display. While Gibbons and Scott use broadly the same geographical headings, the contents and organisation within are inconsistent: I am inclined to go with Scott (and try to find the Gibbons equivalent) as these may be easier to identify and buy. Where the first issue is considered too expensive, a representative later example will be shown. North-East China - Gibbons prefixes theses 'NE' (NE1-NE314) and has seven subdivisions, including Port Arthur and Dairen (PA&D). 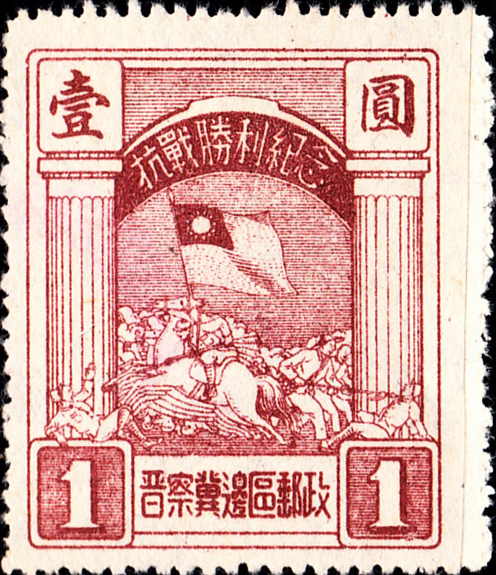 Scott prefixes NE China 1L (1L1-1L178) and Port Arthur and Dairen 2L (2L1-2L76). Scott's first set appears to be Gibbons' area 7, North-East China People's Post where the $1 violet sells for £18/10 and the $2 rose-red for £2/1: I favour the latter. 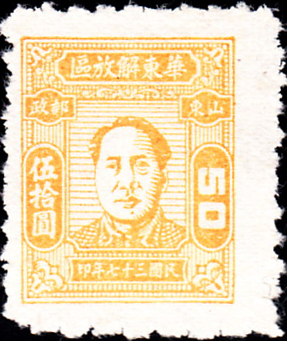 The early PA&Ds are expensive overprints and so the 1946 first real stamp might be sought. North-West China - Gibbons NW1-NW108 with ten divisions, Scott 4L1-4L68. Both catalogues start expensively and so the NWC People's Post looks favourite. Central and South China - Gibbons runs these together as CC1-CC201 with five divisions. Scott numbers them separately, Central China 6L1-6L109 and South China 7L1-7L23. South-West China - Gibbons SW1-64, five divisions, Scott 8L1-8L59. Fortunately, Scott starts with an inexpensive set followed by the more costly overprints, Gibbons reverses this.